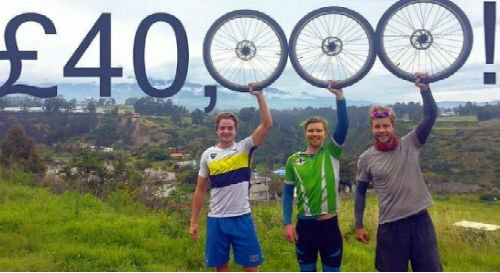 Completely unsupported, the terrific trio, who started their quest last summer will have covered more than 13,000km (the length of 150,000 football pitches and the height of over 12 Mount Everests) by the end of their challenge in the next couple of months. Leo, Tom and Chris are a true inspiration. We'd like to thank them for their determination, sacrifices and commitment. They're helping change the lives of children living in disadvantaged communities all over the world.